The $21 attachment adds volume and other television controls to Apple TV, Roku, Amazon Fire TV, or Google Nexus Player remotes. 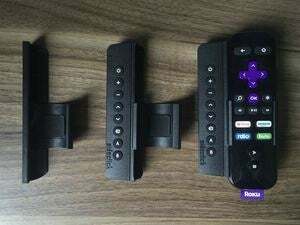 A couple months ago, we brought word of a clever gadget called Sideclick, which promised to extend the functionality of the remote controls for several popular media streamers. 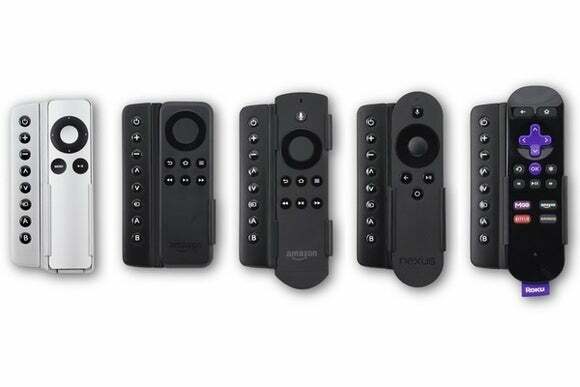 Using a clip-on IR blaster, users could add volume, input, power, and other television controls to the existing remotes for the Apple TV, Amazon Fire TV, Fire TV Stick, and Roku 3. Sideclick’s original design had a glaring problem: Each attachment worked only with one specific remote, rendering Sideclick obsolete if users wanted to switch set-top boxes. This form-fitted design also raised the project’s production costs considerably, and the creators fell well short of their $150,000 fundraising goal on Kickstarter. At the time, Sideclick’s creators said they were working on a new and improved design that would work with different remotes while lowering production costs. That design is now complete, and Sideclick has returned to Kickstarter with a more modest fundraising goal of $80,000. The project is already three quarters of the way there. 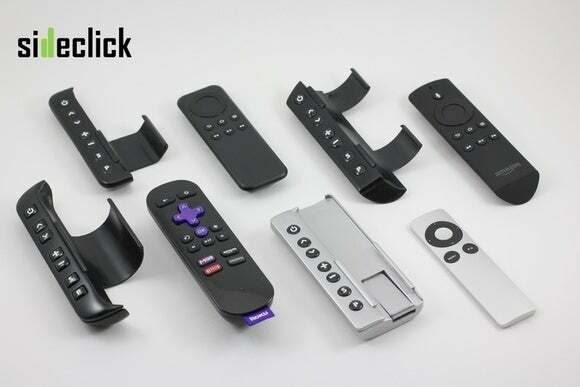 Instead of having each add-on precisely fit the form factor of its accompanying remote, Sideclick has come up with an all-purpose design that connects to each remote through interchangeable clips. The new doesn't look as slick as the original, but it should be more useful in the long run. Sideclick has also added support for Google’s Nexus Player, which wasn’t part of the original campaign. Sideclick’s old design formed a better fit with each remote, but was more expensive to manufacture and wasn’t interchangable. Backers can reserve a Sideclick for $21, with estimated delivery in December. Additional clips aren’t being sold through the Kickstarter campaign, but creator Brett Epstein told me they should cost around $5 each. Why this matters: Sideclick solves a common problem of needing multiple remotes when using a streaming set-top box. It’s not the only solution—Apple TV users can program IR controls onto a third-party remote, and several other devices support a standard TV remote through HDMI-CEC—but Sideclick preserves the simplicity and features of the remote that comes with your media streamer.